In 1758, a group of parishes including Dale Abbey and Ilkestone set up a joint workhouse for the "inhabitation and employing of the poor" on Dale or Stanton Moor. This, together with the withdrawal of out-relief, led to a substantial reduction in claims for poor relief and a subsequent halving of the poor rate in those parishes. 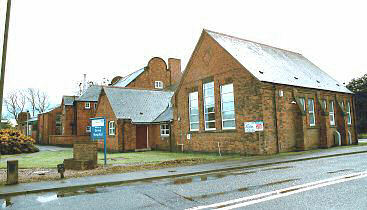 In 1816, a large group of parishes erected a joint workhouse at Shardlow, located at the west of the town. The member parishes came from both Derbyshire and Nottinghamshire and the venture required parliamentary approval in the form of the "Shardlow and Wilne Poor Relief Act". County of Derby: Alvaston, Aston, Barrow, Boulton, Breadsall, Breaston, Chaddesden, Chellaston, Dale Abbey, Derby Hills, Draycote (2), Elvaston, Hopwell, King's Newton, Kirk Hallam, Little Eaton, Littleover, Long Eaton, Melbourne (2), Normanton, Ockbrook (2), Osmaston, Risley, Sandiacre, Sawley (2), Shardlow (2), Spondon (2), Stanley, Stanton-by-Bridge, Stanton-by-Dale, Swarkestone, West Hallam, Weston. County of Leicester: Breedon (2), Castle Donnington (3), Diseworth, Hemington, Isley Walton, Kegworth (2), Lockington. County of Nottingham: Bramcote, Chilwell, Kingston, Ratcliffe-on-Soar, Stapleford (2), Toton. Later additions: Langley Priory (1861), Sinfin and Arleston (1838), Sinfin Moor (1861). The population falling within the Union at the 1831 census had been 29,812 with parishes ranging in size from Hopwell (population 23) to Castle Donnington (3,182), Melbourne (2,301) and Shardlow itself (1,091). The new Shardlow Union made use of the former Shardlow parish workhouse. The building was enlarged in 1838-9 to increase its capacity to 230, for which the Poor Law Commissioners authorised an expenditure of £2,800. The architect for the scheme was Henry J Stephens who was also responsible for designing the workhouse at Ashbourne. The location and layout of the Shardlow workhouse can be seen on the 1899 map below. 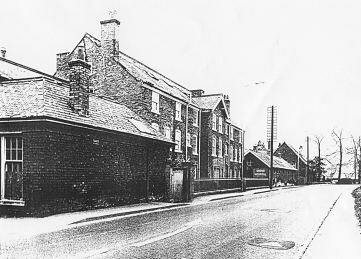 The workhouse had an entrance block facing onto the road at the north. Shardlow entrance block from the north-east. Major extensions were carried out in around 1905, with a number of new buildings being erected at the west of the site. Shardlow western range from the north-west, 2001. Shardlow western range from the north-east, 2001. A separate hospital block was erected to the south of the workhouse. 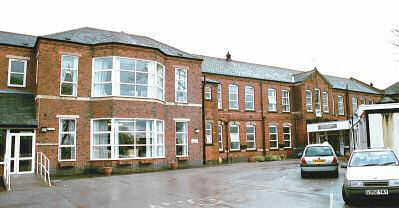 The surviving workhouse buildings continued in use as Grove Hospital until its closure in 2005 and subsequent demolition in 2007. During clearance of the site, workmen reported experiencing a number of ghostly happenings — a grey mist cloaked the building, icy blasts gusted from nowhere, and circular lights began floating through the empty corridors. The site is now occupied by modern housing. Derbyshire Record Office, New Street, Matlock, Derbyshire. Relatively few records survive — holdings include Guardians' minute books (1837-1890).